Dubai: The UAE’s non-oil private sector turned in an improved set of numbers for April, including gains on output and in generating new business leads. The backlog of works — another key indicator — is rising at the fastest rate in 32 months, linked to rapid growth in new orders. These were enough to boost overall confidence among businesses to a 34-month high, according to a survey by Emirates NBD done in tandem with IHS Markit. Job creation picked up slightly after hitting a 17-month low in March. 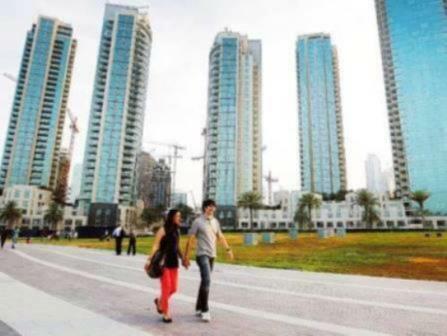 “The rise in employment and selling prices, although modest, is also encouraging,” said Khatija Haque, Head of MENA Research at Emirates NBD. The seasonally adjusted Emirates NBD UAE Purchasing Managers Index (PMI) rose to 55.1 in April from March’s 54.8. The figure indicates a “marked improvement in business conditions, and one that was above the average recorded over the survey’s near nine-year history”. But the gains are “muted” in comparison to the peak seen in December 2017. Output gains accelerated as per the April survey to a three-month high. Anecdotal evidence links this to stronger inflows of new business. The latest figure extends the current phase of output expansion that began in February 2010. New orders from both domestic and overseas sources ended April on a solid footing. In fact, new business from abroad returned to growth as per the survey, albeit at a moderate rate. Also growing at a more incremental level were the input cost and output charges. The average cost burden borne by non-oil private sector firms “increased at a moderate rate overall”, with respondents recording a general increase in operating costs linked to rising raw material costs and higher staff wages. Businesses have raised their output charges for the first time since the start of the year.